Lyttonsville is one of Silver Spring's oldest neighborhoods, but Montgomery County is considering a plan that calls its future into question. Last week, we heard from resident Abe Saffer about his concerns with the plan. In response, neighbor Susan Buchanan tells us why she supports new development in Lyttonsville. We happily accept guest posts, and if you've got something to say, send an email to just up the pike at gmail dot com. My neighbor Abe Saffer expertly captured the concern of some Lyttonsville residents about the prospect of redevelopment and urban growth here with the coming Purple Line. The allowance of 2,500 new families in Lyttonsville over the next 20 years seems alarming. It’s difficult to comprehend how that many more people can fit here with the current design and use of the community. For this reason, I once agreed with Abe and others in calling for a cap of 400 new homes in the Greater Lyttonsville Sector Plan. 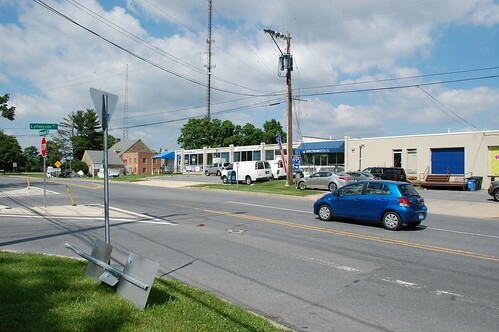 But that was before the developer, EYA, entered the picture in recent months with interest in redeveloping portions of Lyttonsville and investing in much-needed infrastructure here. Lyttonsville's main street, Brookville Road. Photo by Thomas J. Leonard on Flickr. 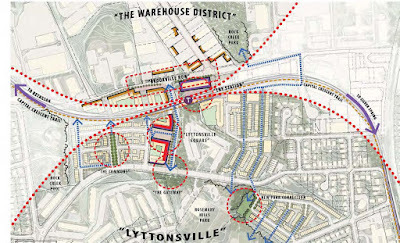 EYA’s inspiring proposal demonstrates how growth can be accomplished through a comprehensive plan to modernize Lyttonsville while improving quality of life for the residents. The EYA vision, along with the potential $500 million of investment the master plan would bring to the area, have flipped me from a NIMBY to a YIMBY. The county's Greater Lyttonsville Sector Plan provides the legal framework that will allow the EYA plan to move forward, and for that reason many of my neighbors in Lyttonsville and I would like to see the county council approve it. The vocal group opposing the sector plan does not speak for the interests of everyone in the community, although I applaud their dedication and successful advocacy in the sector planning process to-date. Simply put, the current draft of the sector plan in front of county council already represents a major compromise that took into account and accommodated numerous community concerns. It’s time to move forward. I’ve lived in Lyttonsville for 15 years. 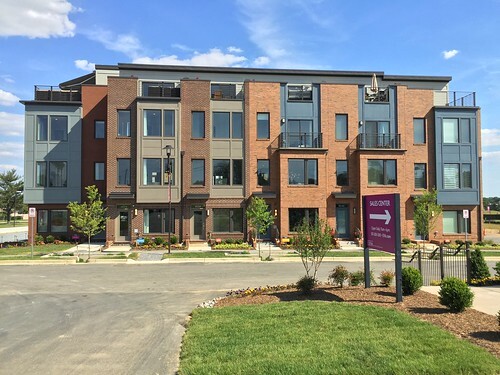 The neighborhood is a hodgepodge of single-family homes, townhouses, multi-family apartment complexes, businesses, offices, warehouses, and industrial that inherently is incompatible with a residential community. Use of the land here is inefficient, with large parking lots and 16 acres devoted to office space and industrial truck parking for the Washington Suburban Sanitation Commission. Many of the businesses along Brookville Road, while important and valuable, do not provide walkable, community-friendly storefronts. The lack of central planning and aged, sprawling buildings make the area feel neglected and economically depressed. Converting 16 acres of industrial use to affordable housing and townhouses. I understand that change is scary and support of EYA requires a leap of faith. Thoughtful people are concerned that the sector plan will move forward, and EYA won’t be able to secure the properties or will just pull out of the process – leaving us with a sector plan that allows for more hodge podge add-on growth, no modernization, and crowded roads and schools. I believe EYA’s pledge to the community. They have been working hard to earn our trust by holding numerous community meetings, exhaustively addressing our concerns and questions, and working closely with current property owners. They also stand on a solid business reputation. EYA townhouses being built in Shady Grove, which could be similar to what gets built in Lyttonsville. Photo by Dan Reed. For these reasons, I’m taking the leap of faith because I think the potential benefits far outweigh the risks. I welcome the conversion of industrial use to family homes and community amenities. With the coming purple line, redevelopment and more density are inevitable, and EYA gives us unprecedented opportunity to steer that growth. We can honor the unique history and preserve the eclectic vibe of Lyttonsville while also allowing the community to evolve and modernize over the next two decades. As a recent post in Just Up the Pike alluded to, Lyttonsville has a long history of being the county dumping ground for everything dangerous, ugly, and dirty. This is our one chance to right all the wrongs of the past and open the door for a better tomorrow.